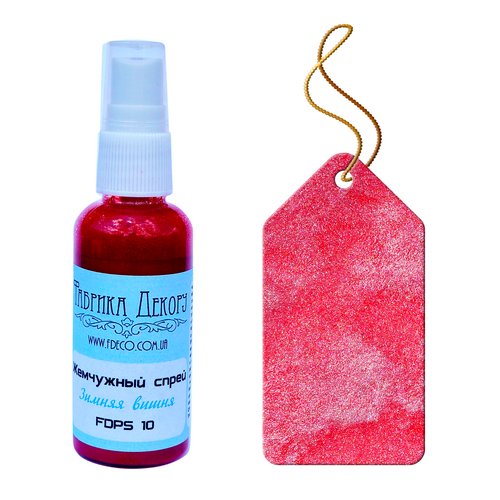 "Pearl spray" water-based ink and consists of a pearlescent pigment, a special adhesive material, and purified water. "Pearl spray" is non-toxic, acid free and designed to coat paper, cardboard, fiberboard, wood, fabric, and any surfaces coated with primer. The palette consists of soft, natural, translucent colors. After drying, the surface forms a pearl coating. The colors are blended together to form new tints. Do not give to children under 14 years. After work clean the sprayer with a wet cloth and seal the protective cover. Store life is 2 years. Store in a dark place at a temperature of + 5C to + 25C.